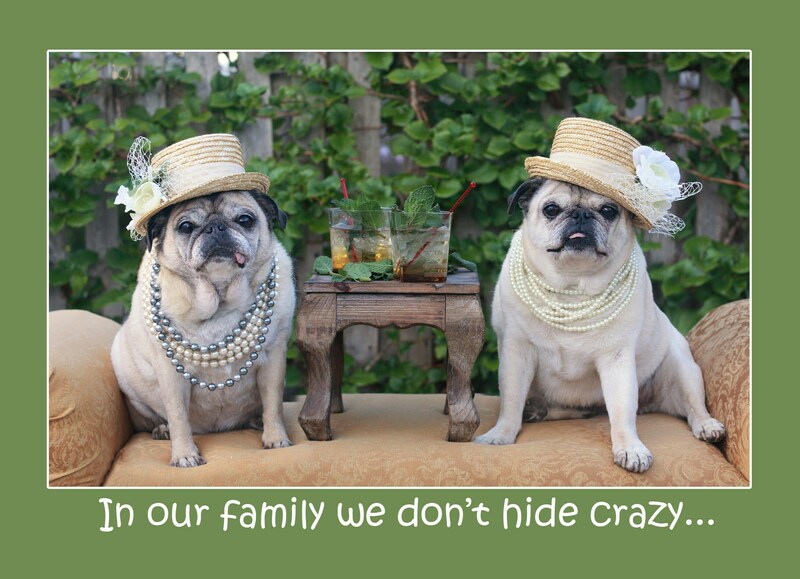 This item is one, "In Our Family We Don't Hide Crazy," funny card for friends by Pugs and Kisses. 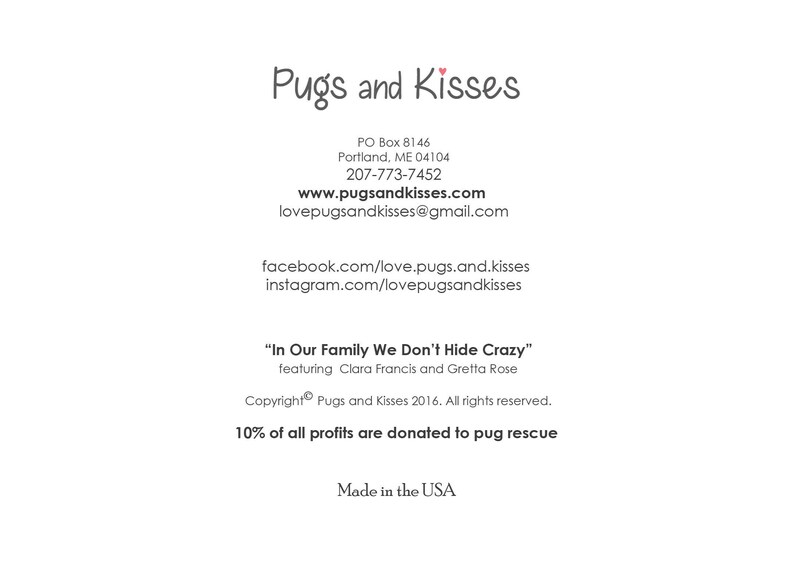 This funny greeting card features two fashionable and irreverent little pugs. 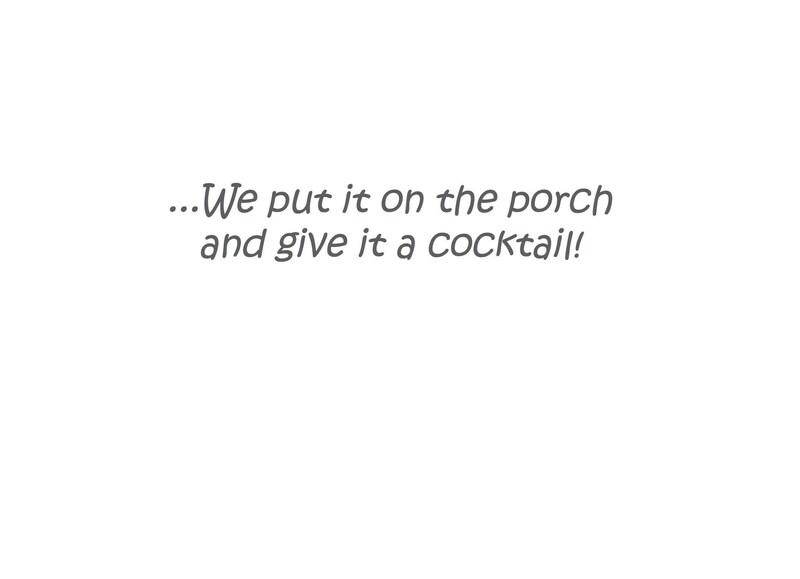 "In our family we don't hide crazy..."
"...We put it on the porch and give it a cocktail." Give this card anytime you want to spread smiles! 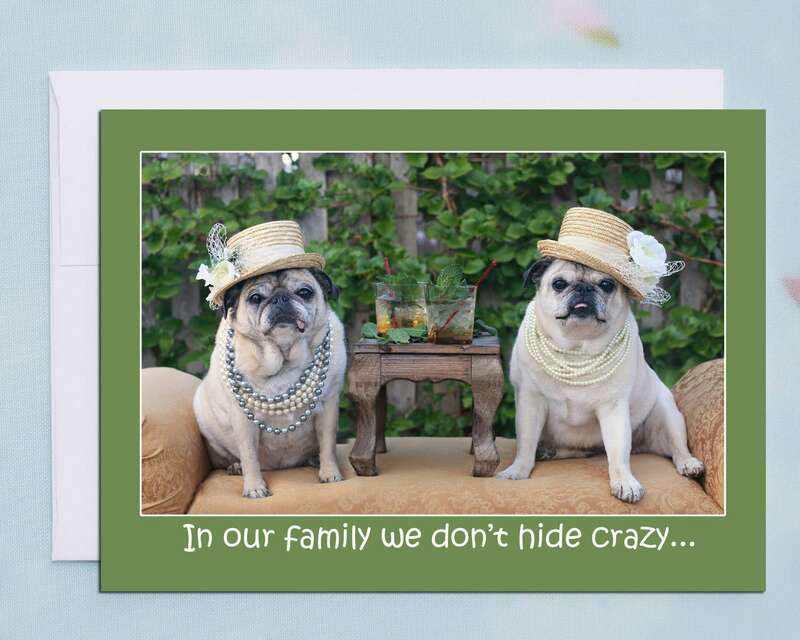 This hilarious card is sure to bring laughs to your family and friends!